In Episode 4 we are introduced to several new exciting characters. We heard about Danny Trejo making a guest appearance in The Flash but when i actually saw him it made me laugh. Also the references to machete just had to be added and were noticed. His presence just gives the episode a bit of grandeur. He maintains he serious menacing demeanour all the way through the episode even with humour around here and there. 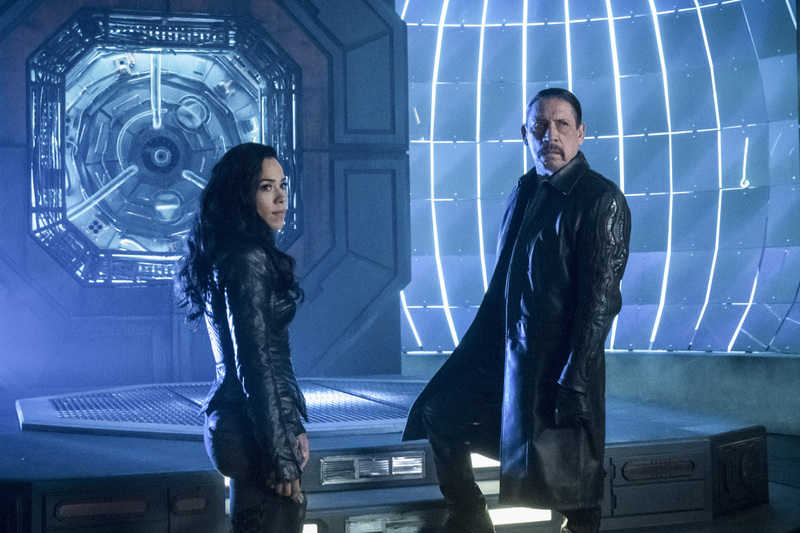 Breacher enters Earth 1 at probably the most inappropriate time…when Cisco and Gypsy and just about to get jiggy with it. He spends the entire episode testing and grilling Cisco, trying to make sure he is suitable for his daughter. Cisco steps up and mans up after running and hiding from Breacher, after he does face him during a showdown Breacher backs down and gives him the ‘thumbs up’ to carry on seeing his daughter gypsy. The other exciting new character we see in Episode 4 is Plastic Man. Im not sure if this is the name he will stick to or if they will choose another like ‘Stretch’ or ‘Bendy Man’ but he seems to a good character. He realises his powers or mutation in the most awkward way…after being hung from the roof of a building. 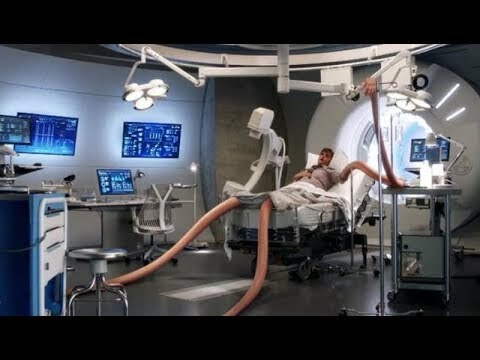 We have seen this in Fantastic Four – Mr Fantastic who can stretch to any length and do really weird things with his body. 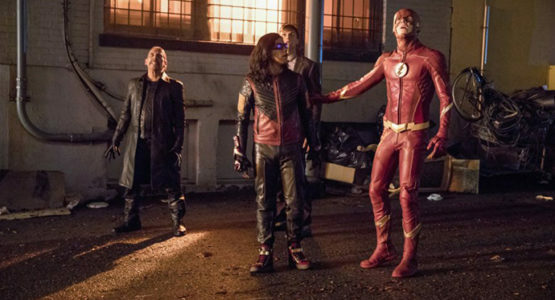 Its nothing new but is something new to The Flash. I am also sure DC CW will find different and strange ways of making using of his abilities. We already saw him stretch and grab a flying helicopter….and yes I agree it was not believable as firstly how could he hold down a moving helicopter? And how could Flash run on his stretched arm, surely the speed would cause mad friction burns. If you grabbed a moving helicopter you would get dragged along with it! The Flash on Plastic ! 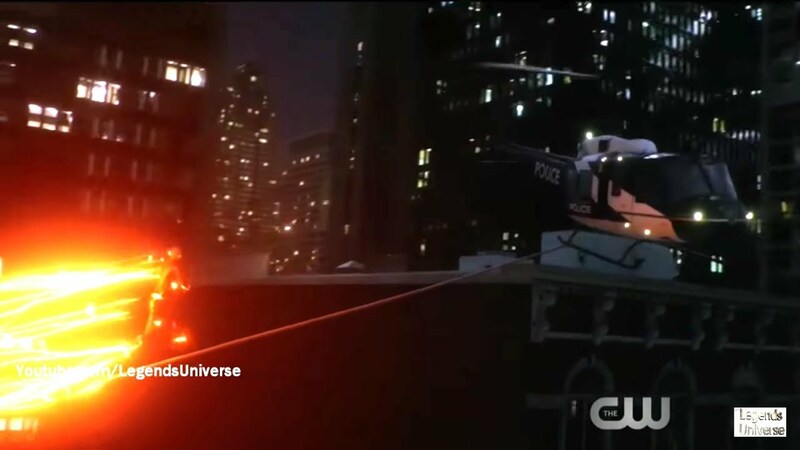 The end sequence of The Flash was a bit cheesy and kinda done already. It reminded me of Marvels Avengers movie when Mr Fury (Samuel Jackson) tries to recruit Iron Man at the end of the movie! So The Flash asks Plastic Man to join Team Flash which will make things more fun and a change will do the Season justice. if we look at the team now though we have Caitlin who is also evil Killer Frost and we know she DOES have relapses and not fully in control of her evil side. Now we have Plastic Man who we know was on the bus set up by the Thinker to create his evil henchmen. So he was intended to be a villain (well all the new metas on the bus are meant to be). We really dont know if Plastic Man is indeed a villain. 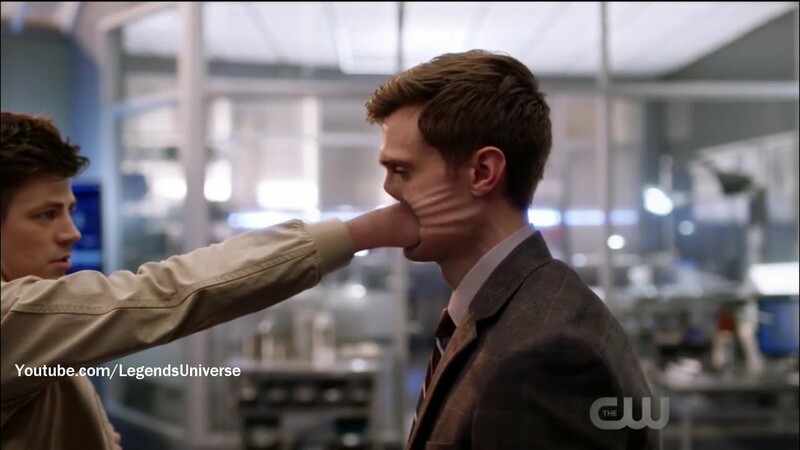 For all we know he could actually be set up by Thinker to be his mole, inside ears, getting close to Team Flash and helping them till he is needed!? We look forward to see romance between Caitlin and Plastic Man (who knows…) and how his joky character plays with the established team. Oh and we just had to add this hilarious still from the episode…One time Flash is baffled and left confused after throwing a punch. Does this review get your imagination and thirst for Flash going then head over here and watch all Season 4 episodes today! BatMan is NOT a superhero and he will not beat SuperMan!